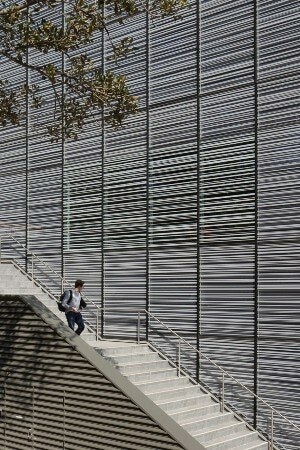 The first facility built for nanoscience in Australia is launched at the University of Sydney today. The Australian Institute for Nanoscale Science and Technology is the most advanced facility for nanoscience in the region. Leading scientific figures, pioneers and representatives from key organisations internationally are visiting Sydney for today’s launch of the Australian Institute for Nanoscale Science and Technology (AINST) – and the official opening of its headquarters – the most advanced facility for nanoscience in the region – where design, fabrication and testing of devices can occur under one roof. Officially opening the new $150m Sydney Nanoscience Hub will be Australian Academy of Science’s President Andrew Holmes AM; senior executives from Microsoft in the United States are also visiting to tour the building and scientists speaking at the two-day conference as part of the launch include one of Israel’s top physicists, Moti Segev, whose centre at the Technion is collaborating on a project including the University of Sydney and the NSW government. Nanoscience is expected to be more impactful this century than the industrial revolution was in the 19th century. But “the buildings in which we work, rather than our imaginations, are what’s been limiting the science”, said Associate Professor Michael Biercuk, formerly a consultant to the US government organisation DARPA and now the research leader of a quantum flagship in AINST. More than six years in the making, the award-winning Sydney Nanoscience Hub was co-funded with $40m from the federal government, includes teaching spaces alongside publicly available core research facilities that will support fundamental research as well as the work of start-ups and established industry. The Institute hosts some of the capabilities of the Australian National Fabrication Facility and of the Australian Microscopy and Microanalysis Research Facility – both co-funded by the National Collaborative Research Infrastructure Strategy (NCRIS). Researchers at the Institute contribute to two Australian Council Centres of Excellence: CUDOS, the Centre for Ultrahigh bandwidth Devices for Optical Systems; and EQuS, the Centre for Engineered Quantum Systems. Professor Benjamin Eggleton, the Director of CUDOS who also heads the photonics flagship at AINST, said photonics (the study of photons – the building blocks of light) was already delivering real-world solutions: “Photonics is the backbone of the internet and underpins a $7 trillion industry,” Professor Eggleton said. Professor David Reilly led research investigating how nanoscale diamonds could help identify cancers in their earliest stages. Vice-Chancellor Dr Michael Spence said the University-wide AINST reached across traditional disciplinary boundaries. “The Australian Institute for Nanoscale Science and Technology continues the University of Sydney’s tradition in addressing multidisciplinary issues in a unique way to ensure that we are ready to solve the great challenges of science, engineering and beyond,” he said. AINST Director, Professor Thomas Maschmeyer, will also head one of five initiating flagships – in Energy and Environment – and this month announced a investment valued at $11m from the United Kingdom into a University nano spin-off. “There is little doubt that society must progressively transition to non-fossil-based energy,” Professor Maschmeyer said. AINST Director of Community and Research, Professor Zdenka Kuncic said the ‘rules of the game’ in nanoscience were still being worked out.